Media outlets have speculated on a potential drone attack during President-elect Donald Trump’s inauguration on Friday, Jan. 20. A report on the “Today” show on Thursday indicated that U.S. Secret Service agents have set up anti-drone installations out of concern of a “flying IED” that could be used to attack the crowd during the Inauguration Day ceremony. The report included a comment from an official from DroneShield, a company that serves to protect against drones, who said that the inauguration on Friday “is not something I would feel safe at,” as the Washington Examiner reported. The report was headlined, “Drone Danger At Inauguration? Dealing with a new high-flying security threat,” and it received backlash on social media. 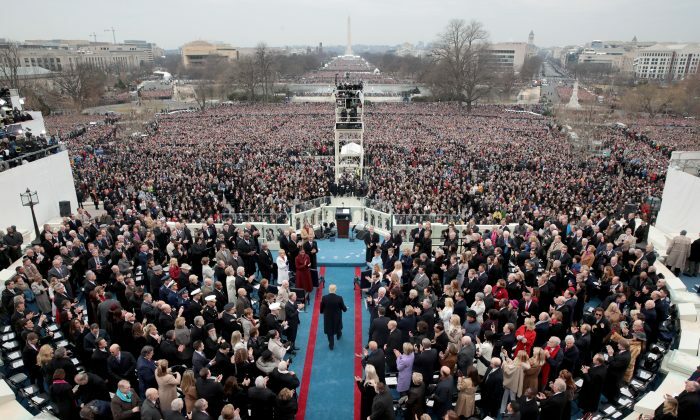 “When strapped with a bomb, a worse case scenario especially with hundreds of thousands of people gathered at one spot like the Inauguration,” the report says. Commenters were critical of the drone report and the media in general. “The only way to stop this insane, propaganda media is to turn them off. They have done everything possible to divide our Nation and cause chaos for President Elect Trump. TURN THEM OFF,” wrote one person. Meanwhile, CNN received extensive backlash for a report on who would take power if Trump and other top-level officials, including Vice President-elect Mike Pence, were assassinated as the inauguration is taking place. After it was posted on CNN’s YouTube channel, the video saw an incredible number of “thumbs-down” ratings.